Meetings to discuss a possible new government will continue today as Fine Gael and Fianna Fáil intensify their efforts to woo Independent TDs in advance of Wednesday’s vote for taoiseach. Fianna Fáil will hold an all-day meeting with the group of five rural Independents. Tomorrow it will meet the six members of the Independent Alliance. Front bench Fianna Fáil TD Jim O’Callaghan dismissed reports that the party’s mood towards coalition with Fine Gael was softening. And party sources said the Leitrim Fianna Fáil organisation last week voted 50 votes to none against coalition with Fine Gael in an example of grassroots feeling, which is strongly against any such deal. Listening to @morningireland would dispel myth that govt formation impasse can go on & on. Serious issues piling up. Hope it focuses all. 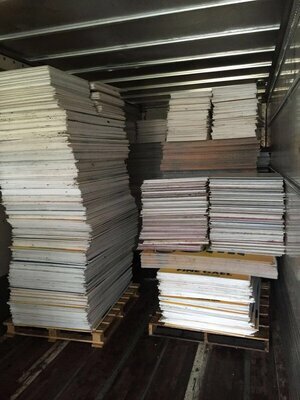 My posters cleaned, counted, stored and ready to be deployed. Posted in Misc and tagged Government formation, Leo Varadkar, posters, tweet at 9:22 am on April 4, 2016 by Broadsheet. Leo… you are pathetic. You have F’all difference with FF, just do your job, form a govt, and put your pretend differences behind you. 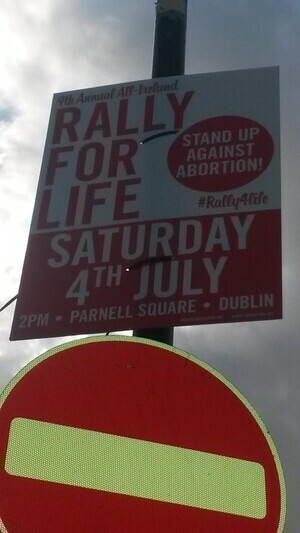 Wonder what poor feckers volunteered to clean the posters. What a awful job. all we need, more promises, junk mail and multiple RTE leaders debates. any views on the potential outcome of a rerun? He may be pathetic but why for this? His take (correct or not) is that FF aren’t really willing to go into coalition, as evidenced by the Leitrim FF vote, and that another election is imminent. …but he shouldn’t be going near cheerleading that view when talks are going on. His tweet basically says he’s given up, and he hasn’t even sat down to talk yet. That’s not him doing his job, and working for you and me, that’s working for himself. As for the differences between FF/FG… that’s purely about who has the power. Nothing else. One gets in one doesn’t, that’s been the difference between them, nothing more. The public knows it, they know it, so they should get on with it and get together. Someone who works more than once a month. If people voted last time and you decided not to grow up & form a government, why on earth do you think people should vote for you again? Brexit vote is weeks away, could be an enormous shock here & no-one dealing with it. This is shaping up like Irish Water. At what point do they lose us? FF have to take it to their members before going into coalition. Not justifying, just explaining. 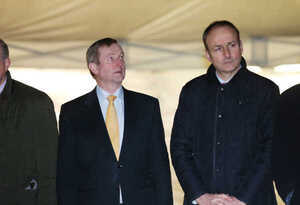 Leo is obviously applying pressure on Enda. All the indications are that if FG go back to the electorate they are going to get hammered. To be fair to them (Ugh. ), FG would leap at the opportunity for a grand coalition. It’s FF who can’t stomach it. If they go back to the electorate, surely that is the time to change leaders? Please please people stop voting for FG & FF. Don’t even vote SF if you hate them cause of the past but just don’t for vote FF or FG….or vote for labour obviously. SocDems, Greens, AAA have nowhere near enough candidates. Voting for Independents is fine when there are big parties to form a govt & an Independent might be a decent member of opposition. It is quite possible to hate SF for the present – the party is still intimately bound up with criminals on both sides of the border. It will be a long time, if ever, before they sever those links. See reaction to Slab Murphy conviction for an example. people keep saying these parties will have to sort it out soon because of all the issues that need addressing and their urgency … but youre forgetting, these parties dont genuinely care about these issues, because they are issues that effect us, not them. and we know where their priorities lie. If FF felt they would be punished for not helping the largest party form a govt, then these problems would resolve themselves pretty sharpish, I suggest. The downside being that Kenny & Martin would stay on. Hopefully all posters accounted for. I have definitely spotted a few Joan Burton posters on lamposts a few days after they were removed. So other election candidates taking posters down then throwing them back up in order to get the candidate fined or something. How they are not mortified by their pathetic behaviour is beyond me!